Should students learn about minorities suppressed by the government throughout American history? Would that knowledge then encourage students to overthrow the government? In other words, what do students have a right to learn about in public schools? I encountered these questions as I was considering titles to purchase using grant money I won from the Judith F. Krug Memorial Fund Banned Books Week grant. I knew I wanted to reach minority students in a meaningful way. The Hate U Give and All-American Boys had already been challenged this past summer in my state, South Carolina, at Wando High School, so while those were my first choices, I wanted an additional selection which would give students a more complex view of book censorship. Could there be an example of book censorship motivated by political bias that would resonate with today’s young adults? I pored over book award lists and the YALSA website before remembering Matt de la Pena, whom I heard speak this past spring at the annual conference for the South Carolina Association of School Librarians. 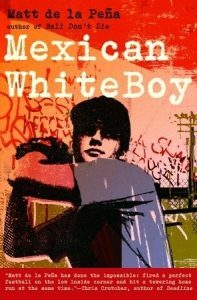 After searching his website and various news articles, I began to piece together the complex journey of his novel Mexican Whiteboy out of and back into the hands of students in Arizona beginning in the early 2000s. One way TUSD sought to fulfill the court order was to establish a Mexican American Studies (MAS) program which included all sorts of elective classes for grades K-12 “focusing on historic and contemporary Mexican-American contributions.” According to the numbers, in the 2010-2011 schools year, sixty percent of TUSD students were Latino, and approximately ninety percent of those enrolled were Latino. When educators tracked data such as graduation rates and test scores, students enrolled in these courses showed increased academic achievement (Gonzalez v. Douglas). TUSD would not eliminate the program, so Horne appealed to the state. After some attempts and failures, he got then-Senator John Huppenthal to take up his cause. Ultimately, H.B. 2281 was passed in the Arizona Senate on May 11, 2010. (By the way, at the same time as they were working on this bill, Horne was running for the office of Arizona Attorney General and Huppenthal was running for his Senate seat.) Here’s the link to the law. Before Horne left his position as Superintendent, he issued a finding that the MAS program violated part of the new state law he managed to get passed. Convenient, huh? The thing is, now the state could withhold funding to the school district if it did not comply. So TUSD voted to suspend the MAS program. The wording of this law is troubling to say the least. Learning about injustices of the past paves the way toward justice, not anarchy. Fixing, not destroying. Reading fiction books featuring protagonists who are Mexican-American does not encourage the reader to rise up against white people. Rather, it promotes empathy and understanding and above all, a desire to do better in the future. Part of the curriculum being taught in the MAS program was Matt de la Pena’s book Mexican Whiteboy, which was promptly removed. And this is why I knew I had to select it for my banned books week grant. In my experience, school librarians rarely have a chance to discuss with students why book censorship occurs for political reasons, and more importantly why they should care. Students today (unfortunately) have more opportunities for these types of discussions given some political events of the past two years, notably the movement to build a wall and limit migration and immigration out of fear and misinformation. A must-read is de la Pena’s comments in this NYTimes feature article. The student’s quote at the end of the article says it all: we search for our own stories in the books we read, and all of our stories are equally valid and important. It’s hardly true that Mexican Whiteboy promotes anti-American hate speech or racial warfare or victim mentality. On the contrary, it portrays a range of characters working through cultural and social conflicts which occur every day in America. 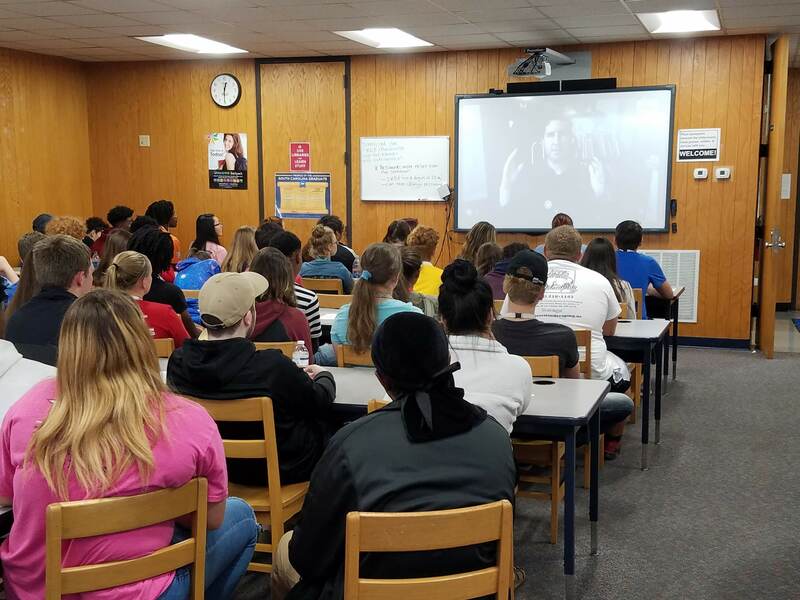 Reading that book meant something personally to the students in my school who chose to read it, and it was even more effective to Skype with de la Pena and hear his story in his own words. Students and parents brought a lawsuit against Huppenthal and other officials, claiming violation of their First and Fourteenth Amendment rights. As the court ruled, the implementation of A.R.S. 15-112 unfairly targeted only one program, resulting in a victory. While the court has at times ruled that governing bodies such as school boards can exercise control over reading materials in schools, they cannot do so “for narrowly political, partisan, and racist reasons” […] rather than for legitimate pedagogical concerns (Gonzalez v. Douglas). Additionally, the defendants made political gains through their actions. I’m very much simplifying this entire story which spans years, but you can read more about the federal judge’s decision in 2017 about the suspension of the MAS program: “The court is convinced that decisions regarding the MAS program were motivated by a desire to advance a political agenda by capitalizing on race-based fears,” wrote Judge A. Wallace Tashima. It is dangerous indeed to suggest that learning about historical suppression and injustice in a safe academic environment incites anti-American sentiments. It is equally dangerous to limit a school’s curriculum, and therefore the learning opportunities of thousands of students, because of a misguided sense of patriotism. In doing so, we imply to students that their schools are not the places for academic exploration and open-mindedness. 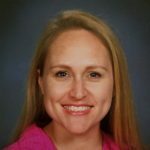 This article from January 2018 states that the name of the MAS program has changed to Culturally Relevant Curriculum, perhaps reflecting a desire to move forward and erase the negative stigma of the entire situation. But it’s also true that this change of nomenclature is in itself a form of censorship by eliminating the phrase “Mexican American.” It implies that something different is taught in other courses. And of course it begs the question, if we have to label something specific as being culturally relevant, does that mean everything else is not? As of September 2018, TUSD was granted only partial unitary status (unitary meaning the school district has eliminated any effects of school segregation and is not under court supervision). Check out TUSD’s website. It includes a Desegregation Tax Fact Sheet and an informative video showcasing the inclusive programming TUSD offers. While many students may initially think of segregation only in physical terms, inclusivity encompasses a school’s curriculum and learning resources as well: the unfettered freedom to learn historical truths and equitable access to knowledge. Perhaps the more insidious segregation exists between inconvenient facts and whitewashed lies. So number 3 gets violated every day in most standard public schools. Curriculum is Eurocentric focused.